Like her Italian sister Cosima, the feminine, Romanian name Cosmina is a form of the names Cosmin and Cosmas which come from the Ancient Greek Κοσμας or Kosmas. That name was further derived from the name κοσμος or kosmos meaning "order, decency". It refers to the order and beauty of the universe. Cosmo, Cosimo and Cosima are all currently beginning to gain slightly more attention after having a bit of celebrity usage, but until the new US name data for 2013 comes out, they may be limited to conversations rather than actual birth certificates. View the whole Kosmas family tree here. 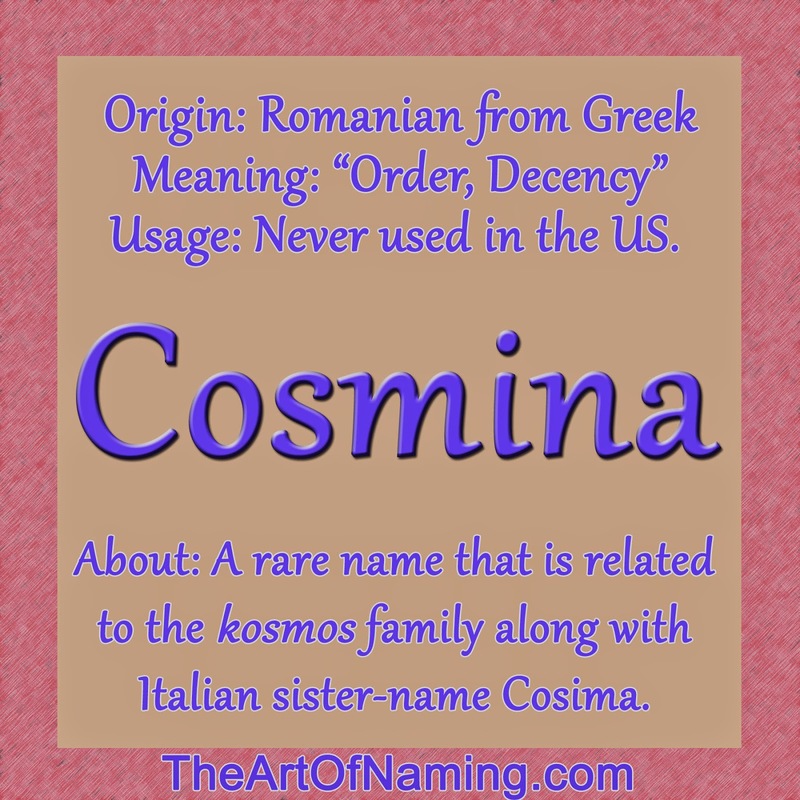 Interestingly, the name Cosmina has never had any recorded usage in the US. Ever. And sister name Cosima has very little usage. A handful of births in the late 1980s and only a few in the 2000s. It had 8 births in 2012. 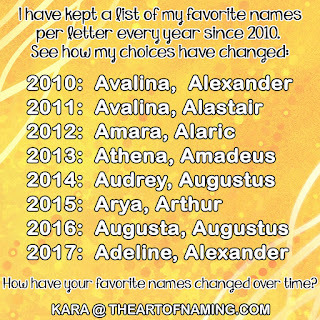 These names are not popular but I've seen an increase in chatter about them, Cosima specifically, around the baby naming community. Do you think it may catch on eventually or remain in obscurity? Sofia Coppola recently named her daughter Cosima. There is a Romanian footballer named Cosmina Dușa and also an actress named Cosmina Stratan. In Romania, there is a Cosmina River as well. Beyond this information, there is not very much to be said about the rare Cosmina. It is not listed in the databases of big-name sites like Nameberry and BabyNames. There are a few other sites that do list very basic information. I got my information from BehindTheName. I think Cosmina deserves some love. The nickname Mina is certainly cute and could also be spun into Minnie. If you're looking for a one-of-a-kind type of name for your daughter, you can be assured that she is not likely to ever meet another girl named Cosmina unless you live in Romania. Cosima is still a more viable option, one I've even considered, if you'd prefer that. Both are very rare and very beautiful! Don't forget to take a look at the other Romanian-themed posts from earlier this week! This is a beautiful, sophisticated, and rather glamorous name! Love it.